Are you buying land with the benefit of planning permission? Whilst there are many advantages to buying land with the benefit of planning permission, you should also consider whether there may be obstacles to you being able to use that planning permission post completion. As a recent case has highlighted, one of the main issues is the copyright of the architect’s plans. What is copyright and how is the owner protected? Copyright seeks to protect the form of expression of ideas and not the ideas themselves. Copyright belongs to the author (or creator) of the original material, unless the author assigns ownership to another person. It does not matter if similar or identical material already exists, provided it has not been copied. The copyright owner has the right to copy the material, Issue copies of the material to the public and adapt the material for other purposes. Without a licence (or assignment), the risk is that using the architect’s drawings would breach the architect’s copyright, which could lead to liability in damages. Who is affected by copyright when dealing with planning permission? Copyright material created during a construction project will be used throughout the life of the building, from construction, marketing, repair and maintenance, to demolition. An architect’s drawings could be used in each of these stages during the life of the building. Many different parties may need to use the copyright material due to the range of purposes required. It is typically required by parties with an interest in the project, such as a developer, a contractor, a professional consultant, a building owner, a tenant, a managing agent or a party providing finance in relation to a project. 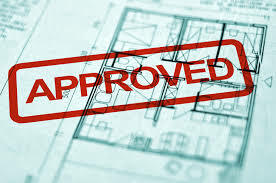 In 1971, the Court of Appeal decided in the case of Blair v Osborne & Tomkins that, when an architect is engaged by a client to prepare drawings to obtain planning consent for a development, there is an implied licence to the client to use the drawings for all purposes connected with the erection on the site of the development to which the plans relate, and that the client can transfer that licence to a purchaser of the site. The recent case of Signature Realty Limited v Fortis Developments Limited and Beaumont Morgan Developments Limited was heard on 17th February 2017. Signature had signed up to purchase land for development through a joint venture company. Between exchange of contracts and completion, they had submitted a planning permission application for the development of a block of student flats in Sheffield city centre and had submitted plans produced by their appointed architects, C&W. Signature had a licence to use the drawings in connection with the development. The planning permission required that the proposed development be carried out in accordance with C&W’s approved drawings. The C&W drawings were available for public inspection through the local authority’s planning portal and copies could be downloaded for limited purposes. A copyright notice on the drawings identified C&W as the owner and prohibited copying or reproducing without C&W’s consent. Signature failed to complete and the site was bought and developed by Fortis. Fortis appointed new architects and proceeded with the development with minor amendments to the planning permission granted. Signature became aware of this and acquired an assignment of copyright from C&W. They then brought copyright infringement proceedings against Fortis and another party. The court concluded that the copyright had been infringed in a number of the C&W drawings. Signature may be awarded damages or an account of profits plus legal costs. If the parties cannot agree the sum between them, the matter will return to the court for a decision. The recent 2017 case is different on the facts from the 1971 case in that Fortis did not buy the site from Signature. Signature was a third party. What are the consequences for breach? The use of copyright material without the copyright owner’s permission is an infringement of the rights of the copyright owner under the Copyright, Designs and Patents Act 1988. The copyright owner can claim damages for infringement of its copyright. A court may award additional damages for a flagrant breach of copyright or if the infringing party accrued a particular benefit. It is best practice is to seek the necessary permissions, licences or sub-licences that allow for use of the drawings as part of the purchase. It is also worth checking the appointment under which the professional that owns the copyright was appointed, as that will probably include an express provision relating to copyright. That would usually take the form of a copyright licence, which may be assignable or carry with it the right to grant sub-licences in some situations.